If you are planning to launch a business website, the prerequisites include a web hosting service that offers ample storage space, data transfer bandwidth, and comprehensive management controls. You need a solution that’s apt for handling high traffic volumes and lets you install all the scripts you may need, without any lag. That’s where a dedicated web hosting solution comes into picture, which offers a host of advantages over shared or Virtual Private Hosting (VPS). Let’s take a closer look at this highly stable, flexible, and feature-rich dedicated web hosting solutions. A dedicated web hosting solution is different from a shared hosting solution in a number of ways. It provides you more space, stability, and control. The reason is that, unlike in shared hosting, your website gets a dedicated server, and all its RAM and storage space is for you to use. Your pages load way faster than when you host your website on a shared server. “Price” is one of the biggest factors that can drive a business away from choosing dedicated web hosting solutions. 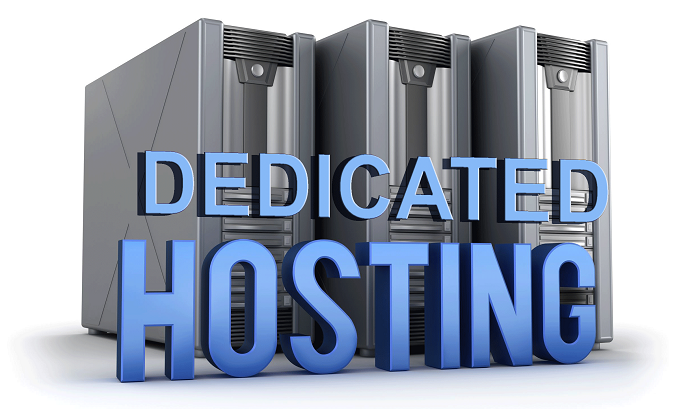 Hosting your business website on a dedicated server can cost you easily around $100 month. Compare this with shared hosting services that usually can be available for under $10 per month, and you know the difference. Furthermore, if you hire a managed server, then you’ll have to pay even more, as a dedicated IT team would be taking caring of all the maintenace. Is Dedicated Web Hosting Right for You? If budget is an issue, then dedicated web hosting might not be for you. If, however, you have the finances, and believe in the ideology of “you get what you pay”, then dedicated web hosting is the right solution for your ecommerce needs. By offering better control, flexibility, security, and stability, dedicated web hosting can go a long way in keeping your clients happy and engaged.